MONTPELIER — Gov. 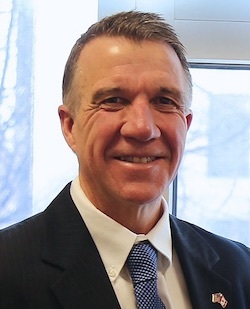 Phil Scott said he will not sign the latest budget proposal on his desk, but will let it become law without his signature to avoid a government shutdown. Lawmakers had passed budget version 3.0 earlier, with key components including $20 million from surplus money to suppress the residential tax rate. It also initiates working toward a statewide teacher health plan and organizes a study group to investigate how to bring down student-to-staff ratios. 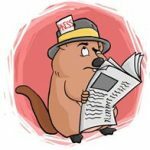 This bill will also raise nonresidential property taxes by 4.5 cents, of which an estimated 60 percent comes from Vermonters. Despite a campaign pledge against new taxes, Scott insists that he didn’t have a choice with only days remaining before a shutdown. “Despite all this progress and a budget surplus that has grown above $55 million in recent weeks, Legislative leaders are insisting on raising non-residential property tax rates by 4.5-cents this year,” Scott said in a statement. Meanwhile, Democratic leadership indicated that they are relieved the governor finally signed a budget proposal. House Minority Leader Don Turner, R-Milton, said he’s disappointed in the outcome but not in the governor’s actions. “I think he saw that the majority leadership was not going to negotiate, and I think he realized it wasn’t in the best interest of Vermont government, and Vermonters in general, and so he did what he thought was best and I respect that,” he said. Turner said that the Republican caucus did everything it could to hold down tax rates, and they were able to save Vermonters $70 million this biennium in taxes that the majority party tried to pass. He said they also got a reduction in income taxes on social security and other positive developments. But, on this budget bill, he said Vermonters deserve lower taxes. “I just can’t understand how we are raising taxes when we have surplus money — it doesn’t make any sense to me. 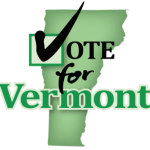 … It just shows Vermonters that they will raise taxes no matter what,” Turner said. He adding that taxes will become a key talking point on the campaign trail this election season, including in his own race for the lieutenant governorship against incumbent Lt. Gov. David Zuckerman. Rep. Brian K. Savage, R-Swanton, said there have been mixed reactions from his constituents. “I’ve had constituents say that the governor probably did the right thing and others that said they wish he had just dug in and had the government shutdown.,” he said. Savage also criticized Senate majority leadership for sabotaging a deal reached on Friday between the governorship and House majority leadership, which would have more evenly divided unanticipated revenue between paying down the tax rate and paying down state pension liabilities. He said having the nonresidential tax rate go up was a big compromise. 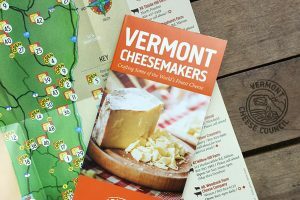 He noted that the nonresidential properties include apartment houses and other rental units, businesses, camps on a lake, and ultimately almost two-thirds is paid by Vermonters. Rep. Sam Young, D-Glover, summed up his thoughts on the budget resolution in a clever tweet. 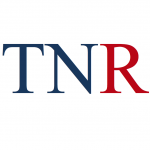 June 27, 2018 in TNR News. No New Taxes, guess the Governor forgot another Political Promise! path and side with Liberals. Pretty sad. Old “Flip flop Phil” strikes again. Too bad you couldn’t find your spine and stand by your “No new taxes” statement.